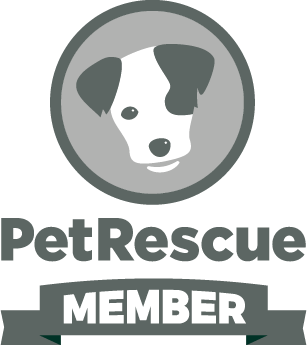 Sweet Pea Animal Rescue is a small charity organisation that is affiliated with Sweet Pea Animal Hospital. We rescue abandoned and unwanted pets. We provide the housing and care for most of our rescue animals and use a small group of committed foster carers. 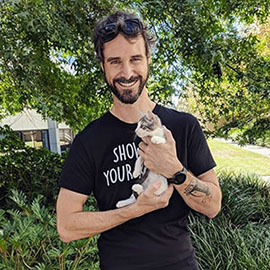 While in our care, our rescue animals receive all of their veterinary treatment, including desexing, vaccination, microchipping, worming and flea and tick treatment. 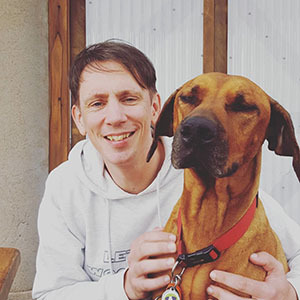 We provide them with exercise, training, human and animal socialisation, affection and love. We have a wonderful group of volunteers who help to ensure that our dogs are walked at least 3 times a day and our cats have daily playtime and brushing. We are dedicated to the good welfare of all living beings. 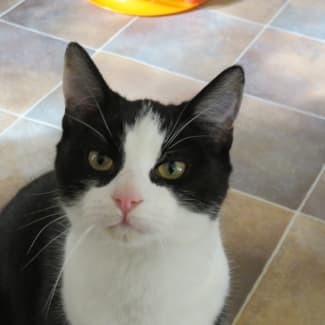 Donatello is the most affectionate, confident and outgoing kitten you could meet. He is a real purring machine. Donatello and brother Raphael are from a litter of 7 kittens abandoned in a cardboard box at a rest stop. This has not affected their beautiful natures, always up for a cuddle, a smooch and to have a nap on your lap. Their siblings have been adopted and these two cuties are still waiting for their forever homes. They love to play and will entertain you for hours at a time. To meet this gorgeous boy, please message us. Leiani is a sweet, confident and outgoing girl. She loves to have fun and is always playing - having a great time on her play gym, chasing toys or racing through her tunnel and enclosure with all of her friends. She does have her quiet time chilling out and she loves affection and cuddles. Leiani is one of the most beautiful kitties you could meet. Leiani and her sister Lola came into our care on the 5th of March. Lola was recently adopted, but Leiani is atill awaiting her forever home. If you are looking for a sweet, cuddly and playful girl, then this is her!! Please email us to find out more. 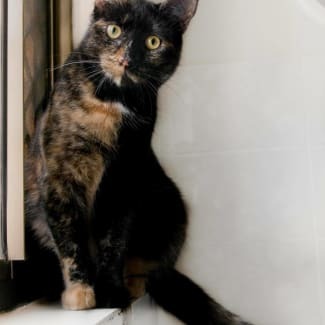 Sweet Charlotte has a soft shiny coat with beautiful Tortoise Shell colours and markings. She is quite a shy girl who will need a special person with patience and understanding. It may take Charlotte a little time to come around but it will be worth the wait! Charlotte is affectionate once she is comfortable with you and loves a pat and to be brushed. She will sit with you and follow you around everywhere you go but like a lot of cats, she isn't too keen on being held. Charlotte would make an ideal companion kitty to someone living on their own. We know that special someone is out there, so hurry up and come along because Charlotte has been waiting way too long. If you are the one for Charlotte and brother George, please let us know! Send us a message now. How is it possible these 2 stunning sister's are still waiting for their forever loving home. Maggie and Maizie are almost 2 years of age now and have absolutely beautiful natures. They purr at the first sight of you and are very happy to nuzzle in for a cuddle. 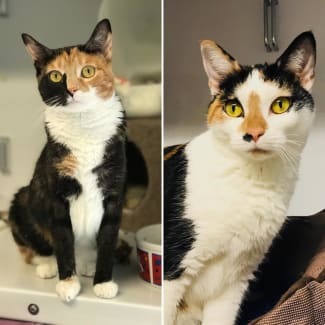 These two sweethearts must be adopted together! Our gorgeous Maggie and Maizie were returned to us after being adopted more than a 1 year ago. Through no fault of these kitties, their adopted owner's were moving to new accommodation and could not take the girls with them. They are sweet, gentle ,loving, playful and just beautiful. Maggie and Maizie would suit most any family or will make loving companions. 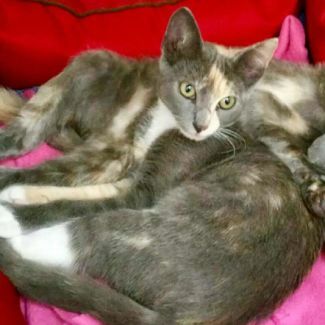 If these 2 sweet kitties are the one's you have been waiting for please message us. 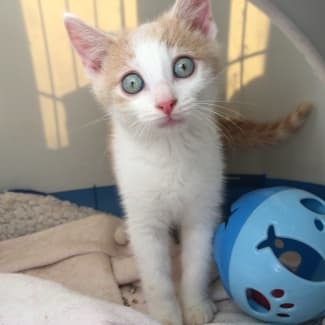 It is totally unbelievable that this VERY handsome little boy, Pumpkin Spice, has not found his loving forever home yet! He and sister's, Chai and Cocoa, arrived into our care many weeks ago. Pumpkin Spice is such a sweet, affectionate and gentle kitty who loves to cuddle and to play with his housemates. He purrs like an absolute trooper and is very easy going. This gorgeous boy would suit most any household and will give you plenty of love and laughter. If you would like more information on our very sweet Pumpkin Spice please send us a message.